Scandals involving prominent television evangelists back then had shined a spotlight on the practice of asking people to give money to religious causes. As a result, many pastors chose to eliminate the regular practice in favor of a less-prominent offering box in the back or a low-key invitation to give. “Evangelists on TV were doing crazy stuff with money, so I understand that reaction,” says Chad Moore, lead pastor of Sun Valley Church in Phoenix. But the pendulum is swinging back. Many influential churches around the country are leading a trend in seizing the offering time in weekly church services to consistently teach giving principles and build a culture of generosity in their congregations. Every single week we have an opportunity during our services to inspire people, to teach people, to encourage people, to thank people in the whole area of generosity and stewardship and giving. We’re seeing more and more take advantage of those few minutes every week to do some good in the lives of people. For starters, include an offering time in every church service. Chad says Sun Valley has chosen to never shy away from talking about giving, and encouraging people to do it through their regular offerings. Worship service at Sun Valley Church’s Gilbert campus during the offering. It’s a very subtle nuance of the language used when launching into the weekly offering—but a very important one, Chad says. At Sun Valley and other churches that strive to make the most of weekly offerings, leaders “receive” an offering—they don’t “take” it. “That sounds so nitpicky when it comes to language,” Chad acknowledges. “But it’s really important in the context of what you’re teaching people about giving. 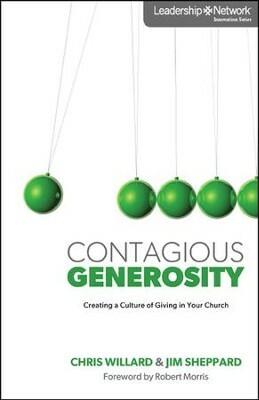 I believe that as church leaders take these few strategic minutes in weekly services to focus on giving back to God, the generosity culture in churches is being impacted. We’re absolutely seeing an increase in people’s enthusiasm for generosity, stewardship and giving when churches are more intentional about leveraging the weekend experience. In the past, the trend might have been for leaders to downplay giving to the church and the weekly offering. But I affirm that pastors are starting to see the impact on their congregations—and more importantly, on the hearts of people in their churches—when they capitalize on this key part of a weekly worship experience. Pastors need to emphasize the offering because it’s a way to teach an essential part of spiritual formation. When we do so, we see a corresponding increase in giving to the church. So you get a good result because you’re doing the right thing for the people of your church. Look for Part 2 of this article, where we will explore two more practical ideas from Chris and Chad for getting the most out of weekend offerings. Both Part 1 and Part 2 are also covered in this podcast. Growing your people in generosity and giving is important to you. It’s important to us, too. That’s why Leadership Network has developed HUB:Generosity for larger churches who want to accelerate generosity, stewardship & giving. For more information go to leadnet.org/generosity-hub.